Hey guys, today I am reviewing a new product called Smart Social. 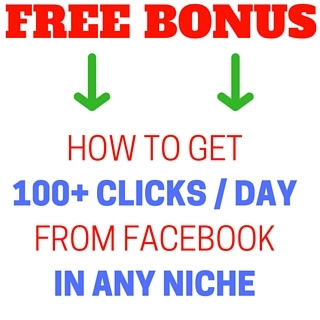 It’s a tool that allows you to get FREE viral traffic using the power of GIFs – starting from research all the way to actually getting the traffic to your offers. They are basically lots of images played quickly to look like a small video, like those flip books you used to see. But you don’t care how they work do you? What’s more important is that they are funny, popular and hard to ignore. So what the guys at Smart Social have done is they developed a powerful software that allows you to research trending gifs, edit them if you wish, or just use them for inspiration as you build your own gif. The guys have basically made a gif studio where you can see what’s popular and use it in a very creative way. Another way to use gifs is to show how software works on a sales page. You can use gifs to show a short sequence, like how to save a file or edit a document. This is great for support as well because you can demonstrate how to download your bonus for example without having to link to a video. There are lots of examples of this on the sales page and I encourage you to take a look at how they have used gifs to great effect. The front end consists of the software I mention above along with the necessary training videos of course. You get everything you need to start creating entertaining gifs you can use in your sales pages, emails, support desk, Facebook feed, and other places where you can post images but not videos. I got access to review the software before the training was even on the site and was able to create the gif you see above within a couple of minutes, so the software is very intuitive. Research viral gif images on 9gag, sort them according to their popularity. Find viral posts on Pinterest for inspiration to post on your page. Find ads on Facebook for specific keyword and website. Take inspirations, get ideas for your campaign from here. Edit any existing image or create new images for your Smart Social campaigns. Fully customised, drag-n-drop editor with built in image library. It’s like photoshop inside just with no monthly fees. Upload your images, set your options, click and your gif is ready to post anywhere. Want to create a gif from videos? Easy, paste a link, specify the timings and software will turn that scene to gif images quickly. Mygif, a library for all the images/videos you created to you can easily access them. No need to download them on your PC. Copy the link we created for you and use it for your Facebook campaigns,websites or emails anywhere. The price on the Frontend is $34.95 for the first day, rising each day of the launch. OTO 1 is an automation package for those who may want to go ‘all in’ with using gifs in their marketing. It includes a post scheduler, advanced video creation tool with built in voice-over generator, ability to add subuser accounts for your outsourcers, and access to a mastermind group. This one isn’t really necessary for the average user, but if you’re planning to ‘go big’ then it will save you a lot of time in the long run. Here you get monthly gif packages in various niches and over the shoulder case studies showing exact campaigns used. Again this will be of more use to some than others, but if you’re serious about getting your marketing message seen then this would be a wise investment. The best shortcut to success is to model those who have done it already. This is for those who want to sell the software as their own. White label rights are a great route to your own software business and I know people who have made a lot of money selling rebranded products as their own. Obviously this is a considered purchase so I’d advise you to think carefully about whether you will actually take action and sell the software before buying. The main bonuses will be in the member area waiting for you.